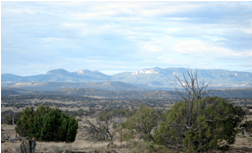 We have space available for another person or persons to share in our off-grid, sustainable, peaceful, survivalist community in western New Mexico — a good well, ample game, space for gardening. Let me say that again… We are willing to share, at no cost, space in our community — with a person or persons who have an appreciation for what we are offering, have a desire to live the off-grid life, and are willing to give as good as they get. The community is remote, yet accessible year-round. Camper/trailer may also be available. … email us at lastchance@lavabit.com. Tell us who you are, what you can do to help, what you are looking for, when you can make the move and anything else you think we should know about you. It’s difficult to live this kind of life alone. If you want to be part of a small remote community, to help for the good of all, to share the work and the benefits, maybe we’re looking for..YOU? 7 Responses to Looking for – YOU? Bless you, Sheila and Dan. This is one of the ways we enlightened human beings need to reach out to one another. Sheila and Dan, you guys are the greatest. Love your attitude and I would go for it there with ya all but at my age and such I do not think I would be much help for your cause :(. I have tried now since about 1996 to do what you guys are doing and it didn`t work for me as they only wanted a flop house and a free ride at others expence. 🙁 I just may e mail ya to find out more though. Thanks Sheila and Dan. I’m looking for someone too, but not with reliable transportation because I want them to be trapped here. They’ll basically be a slave, but it beats the crap out of living in a storm drain. They’ll eat good, and I won’t hit ’em with anything unless they deserve it. I tried to do this in N. Idaho but could not make it by myself. Too much snow and not good growing ground. People there tended to keep to them selves. If we don’t annihilate ourselves first this would be a great way to go. Same here The Other Mark. I am wondering if this is the remote community recently shown in a video a few years ago in the mts, between Taos and the northern areas around El Vado lake. Don’t remember the name of the video but saw it on Cryptogon a few years ago. If so, good luck to you folks. Live in a less remote but still great remote community in far west Texas.